This week's book title seems to grab at your attention. Rightfully so, this book covers what might contribute to bad practices at work environments in the 21st century. 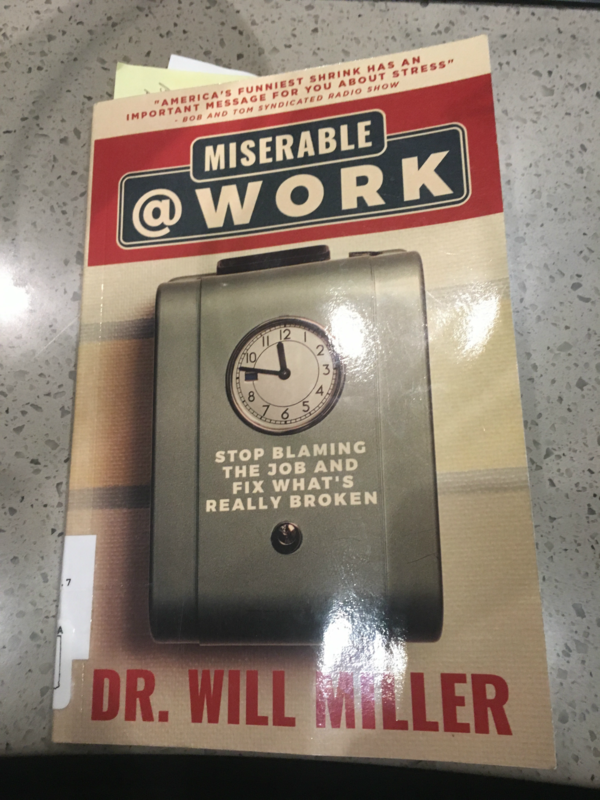 Dr. Will Miller offer some great explanations and suggestions as to increase your wellbeing at work. The book does not seem like a lecture, but rather, a conversation about habits with the Purdue Professor. West Lafayette Public Library Director Nick Schenkel has a review.